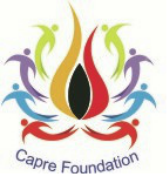 CAPRE Foundation is a non-profit, voluntary organization registered in 1999 under Section 21 of the Societies Registrations Act, 1860. It was founded by grass roots people with a passion to work for cultural, environmental, socio-economic, and educational upliftment of underprivileged artists and artisans working with languishing creative and cultural industries. The organisation aims at fostering an alternative pathway for development using cultural heritage as concrete means for improving people’s livelihoods and empowering local communities. Ten languishing folk art forms have been revitalized and we are working tirelessly to keep them alive.